Hobbits are fictional characters that inhabited the lands of middle earth in the famous epic - the Lord of the Rings. Over the years, as the movie continued to wow the audience, hobbit costumes have also risen in popularity during Halloween. Even if you are not a Lord of the Rings fan, you cannot deny that Hobbit outfits make for a great choice of Halloween costumes. We have the widest range of Hobbit costumes and accompanying accessories that will make your heart leap with joy, this Halloween. The Hobbit fantasy is not only popular with kids, but adults are equally enthralled. 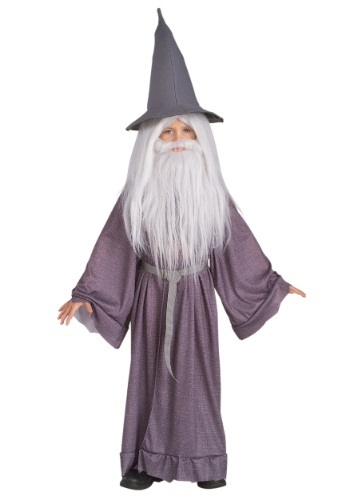 Whatever your occasion is this Halloween; we have the perfect creative Hobbit costume for you. So don't wait any longer, open your world to the Hobbits and let your fantasy come to life. We assure you of the highest quality and the best affordable prices with our splendid Hobbit collection for everyone.